2. Visit our application site http://www.3sistersapplication.com/ and click on the link. Complete the initial application. If you meet the criteria, a full-length one will be sent to you. When completing your application, be sure you put your best self forward! This is the document that the future (or “intended”) parents will read. You’ll also upload pictures to our database. Again, it is important to look presentable – no selfies! 3. We will schedule a telephone interview with you and review your application. This is a great time to ask questions about the process too! 4. You will need to collect all your medical records for previous pregnancies and deliveries. There will also be a background check on everyone over the age of 18 in the household. Once these have been reviewed, we will add you to the surrogate database so that Intended Parents (IPs) can review your profile. It may take up to 6 months to be selected. 5. IPs will select a profile and we will set up a 3 way call between you, 3 Sisters Surrogacy and them. This interview is a “getting to know you” type call. Afterwards, an in person meeting may be set up. 6. Once the surrogate and IPs decide that they are a good match with each other, we will schedule an initial medical appointment with the infertility doctor. Typically bloodwork will be done at this time. There may be additional appointments scheduled for further testing. 7. After the medical appointment, you will have a psychological evaluation is performed. This involves an interview with a psychologist, as well as a personality assessment. 8. Finally, the contracts will be negotiated. Each party (intended parents and surrogate) will have their own attorney to help navigate the contractual part of the surrogacy – how much compensation will be paid, who will make certain medical decisions, etc. This part of the process may take anywhere from a couple of weeks to a couple of months. 9. After the medical, psychological, and legal portions are completed, the embryo transfer is scheduled. There are two ways the transfer may take place – (1) a “fresh” embryo transfer, in which the intended mother (or egg donor) undergo IVF just prior to the transfer, or (2) a “frozen” embryo transfer, in which the IVF process may have happened months or even years ago. The embryo will have been in deep cryostorage until time of the transfer, as is thawed just before. The embryo is placed into a tiny catheter and inserted in to the surrogate’s uterus. There is no genetic connection between embryo and surrogate. 10. Take the pregnancy test. This is such an exciting time! We let the surrogates come up with fun ways to tell their matched family that they are expecting. 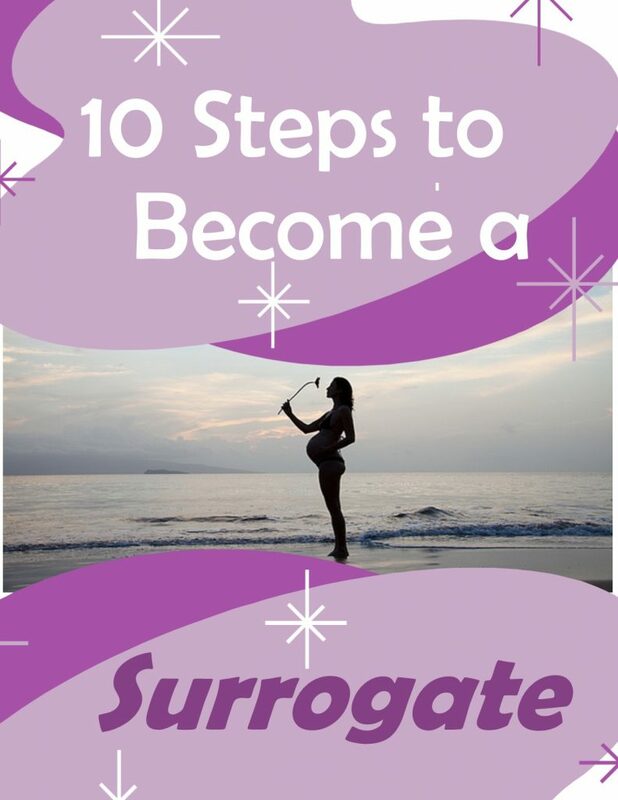 Compensation for surrogates starts at $20-25,000, depending on whether you have insurance that covers surrogate pregnancy, if you have been a surrogate before, etc., plus many benefits. Contact us today if you are interested in giving “The Greatest Gift”!